This is a picture from earlier today, as you can see I have a pretty nice cut going but I am not super shredded at the moment. I hopped on the scale and it looks like I am about 210 lbs. I would assume I'm somewhere between 10-12% body fat if I were just guestimating. So Am I following a strict diet right now? Yes and No. Honestly, in the last 2 weeks I have eaten nachos, fried seafood platters, bread, pasta, ice cream and a good bit of other junk. Thus, I am not on some strict torture diet. 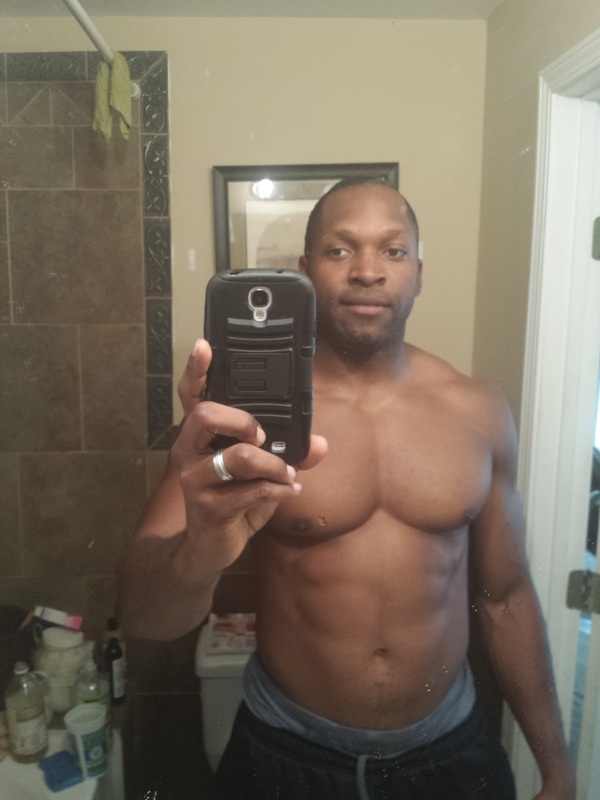 But, I do try to keep a system going which I feel helps me keep my body fat in order. Now if you are like me, you can't stand the texture of regular oatmeal! I mean I just hate that running snotty texture oatmeal! However, there is a type of oatmeal called Steel Cut Oats and the textures are night and day! I love GRITS but I don't eat them as much as I use to. I say this because when I eat Steel Cut Oats I don't feel like I am missing out much. I'll sprinkle a little cinnamon (natural fat burner), raisons, nuts, and salt and I am good to go. Matter of fact, that salty/sweet contrast tastes awesome to me. Another option is a Protein Smoothie. You can't really go wrong with a banana, ice, some almond milk,a little honey( or maple syrup), and some frozen berries. For added protein, add a scoop of whey protein and you have a healthy energy packed breakfast. Tip: Get some ripe bananas, peel them and freeze them ahead of time. They make your smoothie take on an ice cream consistency. I try to keep it simple. Veggies, and meat! I'll endulge in a good bit of carbs if it is right post workout but otherwise I try not to go overboard with the pasta, rice, bread etc. A fist size portion is good enough. WATER!!! DRINK IT AND LOTS OF IT! Look, you need Water! Our bodies are made of more than 50% water. We need it to function, it keeps us from being hungry! It flushes out the toxins. When you are drinking enough water your body will stop retaining water and actually let go of some of the water weight that it normally stores. Your skin will look better, you will feel better. Trust me, you need to be drinking more water! Not sugar water, tea, or water with sweetner, straight up WATER! H2O! Shoot for a gallon a day, sure that's a lofty goal but if you miss the mark you will still be getting in a sufficient amount of water to keep you functioning on a high level. Drink a large glass of water before your meals and it will keep you from over indulging on your food as well. Additionally, a lot of times when you feel hungry you are not hungry but instead you are actually Thirsty! So if you are like me, you always want to know what can I snack on. What are my options!? Here is a brief list of things I use or recommend. Fruits: Can't go wrong with fruits. My philosophy is fruits are from the earth, your body will break them down better than simple carbs so I don't trip about fruit like some people do. Enjoy them, God put them here for you! 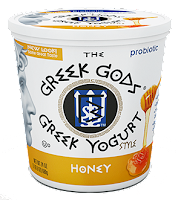 Greek Yogurt: Taste Good and is a better alternative than ice cream. I like to mix mine with peanut butter! Yum. Popcorn: Another one of my favorites. I have long stopped using the microwave but I have an Airpop popper I got for about 20 dollars at Walmart. 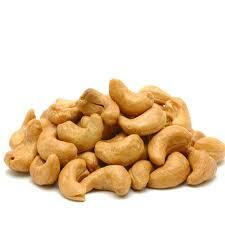 No need for oil and you control your salt distribution so this can be a very healthy snack. One of my go to snacks when I have late night cravings and I want something instead of nuts. Kale Chips: Haven't made them in a while but sprinkle some oil and salt on kale and place in the oven and bake until crispy. This is actually a pretty tasty treat. There are tons of ways to season this as well so use google and go find some tasty recipes. 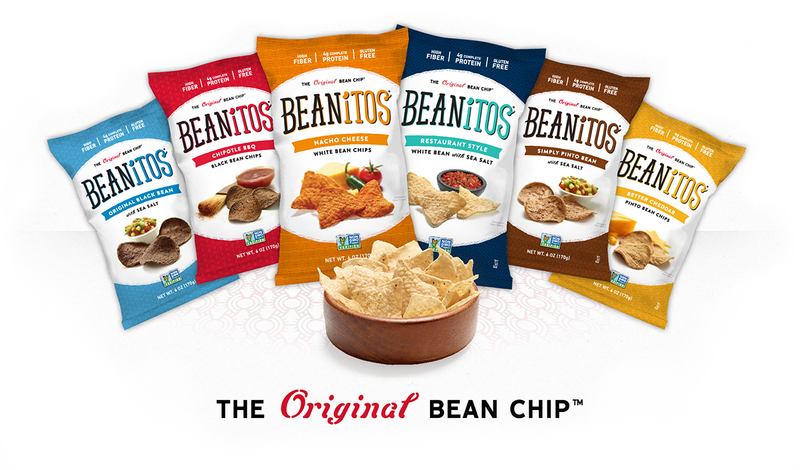 Beanitos: These chips are good too and made from beans so they are a bit healthier! These are a few to get you on your way. Don't sabotage yourself by drinking a large soda or sweet tea with your snacks though. Sugar gets you every time. 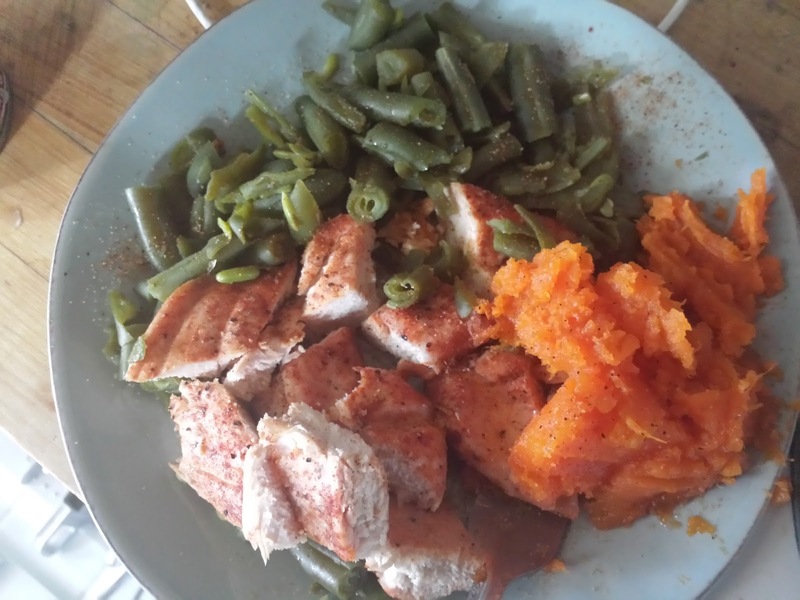 Some people like a cheat meal, some people prefer a cheat day and still others don't do either and just calculate their macro and micro nutrient needs so that they can get in a little junk everyday so long as their overall calorie count and protein, carb, fat ratios are not affected. Personally, I am more of the cheat day type of guy myself. But a cheat meal will probably yield the greatest results as a whole. Myself, I have a kind of addictive personality so let's say I have been avoiding cookies, once I eat one then I want to eat it until it is gone. Thus, on my cheat times I prefer to just cheat the whole day but still with in reason. Now let's use some logic here for a second. Here is the reason I don't see a problem with this. Let's say you eat like crap everyday...Cookies, fast food, sodas, chips, and no nutrient dense food. All of a sudden you decide I'm going to eat healthy for one meal or even for the day!!! Do you honestly think that will have a long term affect on your health and fitness? Exactly, and the same applies to your body if you are consistently doing right and have one bad slip up day. Hell, depending on your training and when it is consumed simple sugars and high carbs are actually beneficial to your goals! At the end of the day, it really all boils down to calories in vs calories out. Don't get me wrong, this is a vast oversimplification however, in a nut shell what you don't burn you store. And how does your body store energy...YEP...FAT! There are many calorie calculators out there. A very simple way to guestimate your calorie requirements is to take your current body weight so let's say you are 185lbs. Then multiply that by 10, That would give you 1850 thus your body needs about 1850 calories to maintain your current weight. Eat more and you will gain, eat less and you should drop. 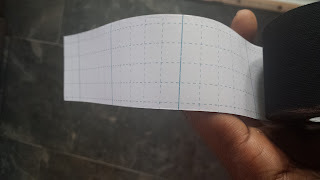 Here is where a food journal comes in handy because you can track your progress and monitor whether you are seeing the progress you are looking for. Over the weeks you just adjust your calorie intake accordingly and you should start seeing that scale slide in the direction of your desire. This was a quick summary of tips and tricks I've been using over the years. 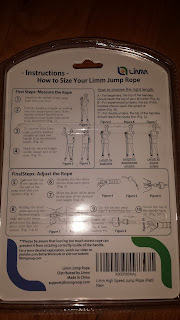 Hopefully it can help you on your journey. 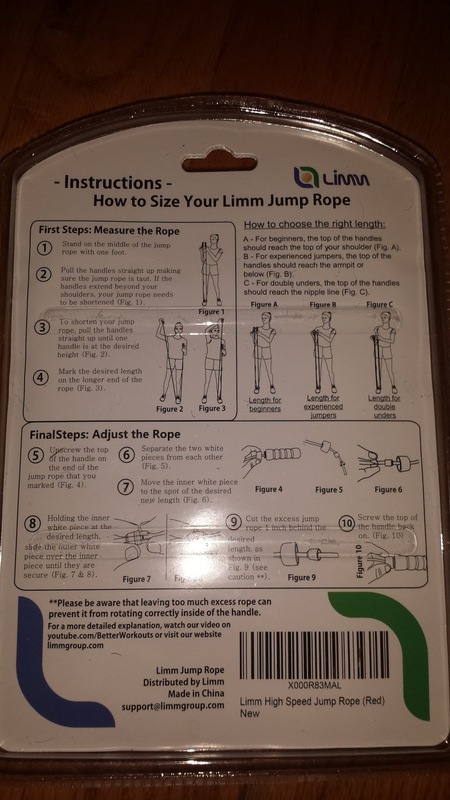 I think this guide will be helpful if you are new to dieting/working out however if you are trying to be a serious bodybuilder or seeking to get into single digit body fat numbers then you will have to be a lot stricter about the things I mentioned above. At this point, I don't have a desire to walk across anyone's stage or be judged by my body so this works great for me. A few things I neglected to mention earlier are supplements. I'll do a separate blog on that on another date. In the meantime Cinnamon, apple cider vinegar, cayenne pepper, and green tea are some other ingredients, spices, etc that you may want to incorporate into your routine. They all aid fat loss and help to spike your metabolism as well. If there is something else you would like me to address feel free to ask! Today I am reviewing the 60 capsule bottle of Pure Moringa Oleifera by Fresh healthcare. First let me tell you a little bit about Moringa. Moringa is called the " Miracle Tree" due to all of the nutrients found in this one plant. Called the most nutritious tree on earth, the Moringa plant is known for all of its essential vitamins, minerals, antioxidants, amino acids, protein & phytonutrients! Vitamin B,B1,B2,B3,B6,E, and C! I'm not done, it also has Iron, Fiber, Calcium, Protein, Vitamin A, Zinc, Copper, Sulfur, Chloride, Folic Acid, Selenium, Chromium, Potassium, Phosphorus, Manganese, and Magnesium. So after reading all of that one can see why Moringa is so highly regarded. A few months back my wife bought the pure Moringa Oleifera powder and I decided to mix up a drink. I'm no stranger to drinking barely grass, wheat grass, oat grass etc... so I figured this couldn't be too bad. Boy was I wrong! It not only tasted like grass but it had a stronger taste that just sat in my throat long after I finished swallowing my drink! Needless to say, this was not something that was on my favorite drink list to consume. Fast forward to a few weeks ago, I was presented an opportunity to review a 60 capsule bottle of Moringa in return for my honest review. 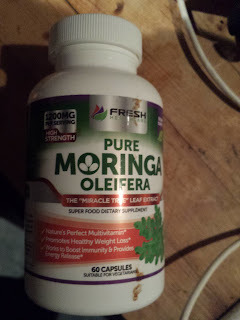 Being that I am very familiar with all of the great properties associated with the Moringa, I wanted to try it again, especially since this version is in pill form. I figured this would be much easier to swallow. This time I was correct. I can't stress the difference it makes being able to swallow this in pill form versus trying to drink down the chalky powder. These pills are easy to swallow and I had no after taste or side effects from them. Honestly, I don't feel that I received any energy burst from the Moringa however I am a healthy 6' 200lb male and I regularly use a few select supplements to keep me at tip top performance. I will say that my weight has been dropping a bit but again I am not sure if this is 100% due to the Moringa or just the hardwork I am putting in at the gym. Either way, I will continue to take my sample until I run out. Hi, it's Mark and I have another product review coming to you. 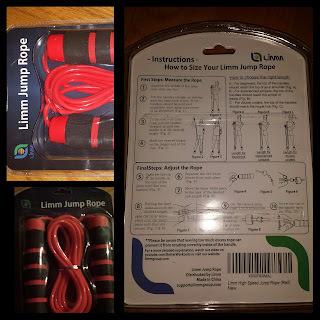 Once again, I will be giving my thoughts on another brand of Kinesio Tape. 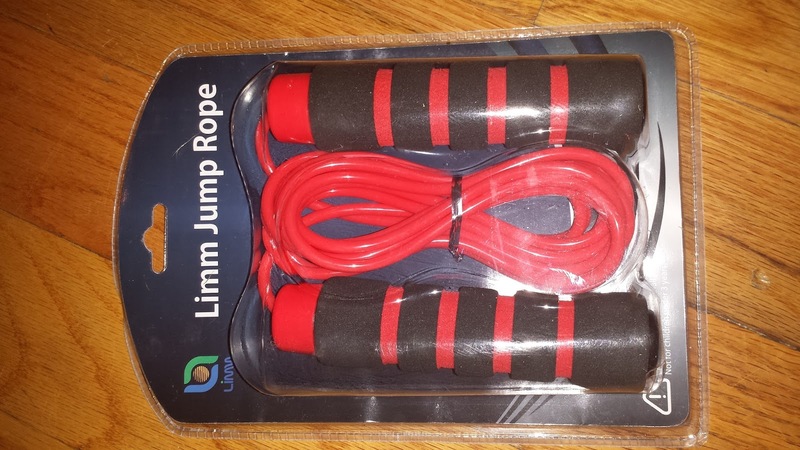 I received a shipment for free so that I could give my honest opinion about the product. So let's get right into it! 1) No bells and whistles! 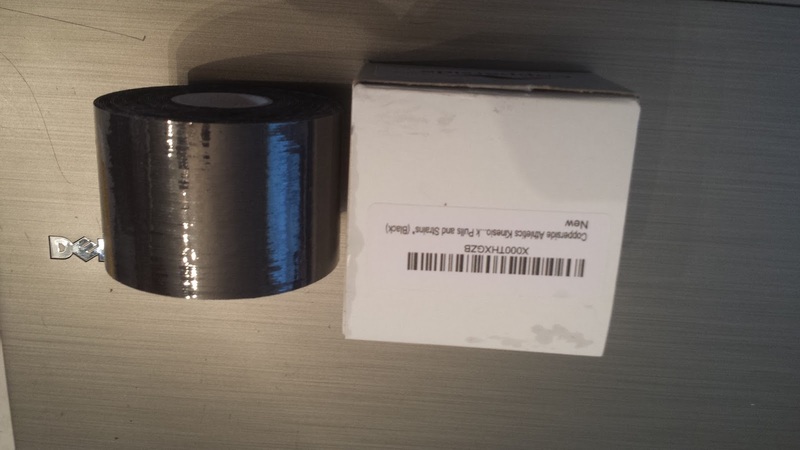 The product shipped to me in a plain box with a simple logo. 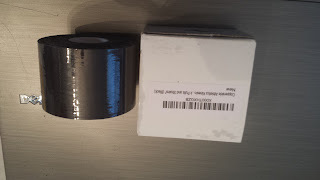 Upon opening the packaging there was simply a black roll of kinesio tape. There was no branding on the tape compared to brands such as KT Tape or APE Tape. Now this is neither good nor bad, just a simple analysis that I noticed. At the end of the day, does it work? The answer is Yes it does! Maybe even bettter than some of the more expensive brands. Some of the other brands I use slip off as soon as I get sweaty. I didn't have that problem with this brand. 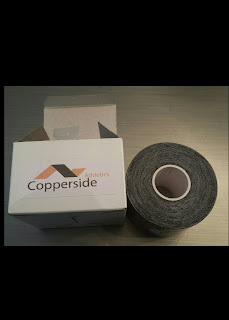 My problem area is the achilles and time after time the Copperside Kinesio tape has stayed in place even after a sweaty, grueling, high intensity training session! Good price, does the job! Branding and packaging is all great but at the end of the day if the product doesn't stay on your skin, it is not doing what you paid for. I didn't have this problem with the Copperside Tape. I've tried it for a few weeks now and I can say that it works well. and for the record no I do not get paid for this review or any traffic directed towards amazon from this. 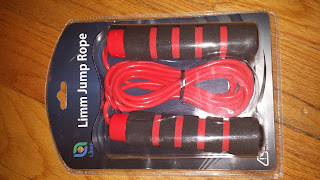 I did however, receive this product for free so that I could provide an honest review of it. With that said, here are my thoughts. 1) You know society has hit an all time low as far as vanity is concerned when the idea of a selfie stick becomes relevant. Social media is definitely the driving force behind this and with sites like Instagram and Youtube around it is no surprise we desire products such as selfie sticks to get that perfect video or photo! 2) My initial reaction was disappointment as I thought my selfie stick did not work. My phone kept trying to zoom when I clicked on the photo button and I figured maybe the selfie stick wasn't compatible with the Samsung Galaxy 4 phone that I possess. 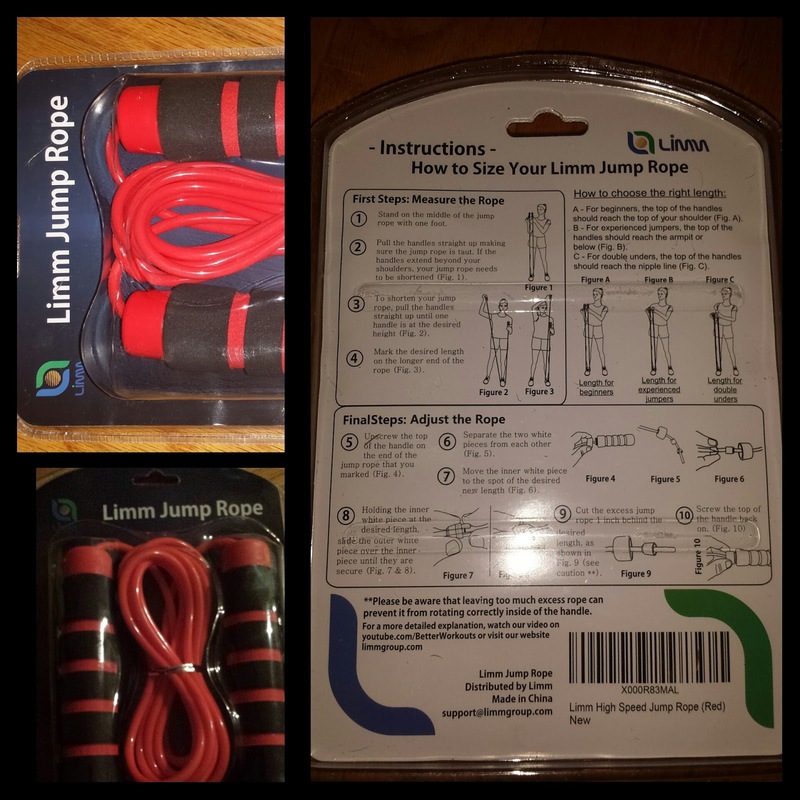 Being as though I received this product for free, I really did not want to give it a bad review however, if it doesn't work I wanted to give my honest opinion. 3) After reading a few reviews on Amazon, I learned that you can change the settings of your phones camera mode to make the volume button control either the zoom, the photo or the video options. Once I learned this I was able to make the selfie stick work on my phone. This was a very simple fix and a slight mention in the directions would have alleviated this problem. 4) Once I learned how to operate the selfie stick it was very simple to use. Plug in the headphone jack to your phone, extended the monopod, and shoot away. 5) This is a good product for a cheap price. It seems well made, I don't think it will break easily and it compresses to a size that looks like it can easily fit into a ladies purse or backpack. Overall, I am impressed with the product. My only complaint is that a more detailed explanation should accompany the product informing the consumer how to change the settings in the event that the selfie stick doesn't work on the initial try. At $6.99 you can't beat the price either.